Looking for activities and ways you can enhance fine motor skills in childhood? You don’t want to miss this roundup of fun activities! Use these fun and engaging apple themed activities during autumn or fall! The kids will build their fine motor and pre-writing skills along with a number of literacy and math skills. Kids learn to use their fine motor skills for important life skills as well as writing. Giving them plenty of ways they could enhance these motor skills in childhood will help them better develop and build on further skills they need throughout their schooling. Enhance children’s fine motor skills by providing play activities to help develop their imagination as well as their pre-writing skills. Here are some fun apple themed activities to build sorting, counting and crafting skills. 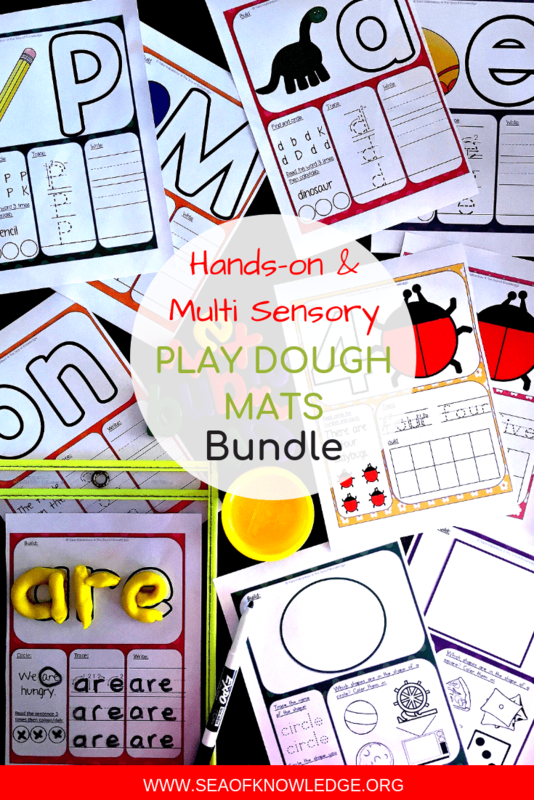 Below you will find some learning activities that incorporate play dough! Kids love play dough! Have them build apples from play dough on the tree, do a simple search and find activity and more. Using play dough is a great way to build Motor Skills in Childhood. Need some new ways to practice counting? Find some fresh new ideas below which include q-tips, pegs (for clipping), felt, stickers and more! I love using these materials to enhance hands-on play.